State immigration activists announced Monday that they’ll be traveling along the U.S. border with Mexico over the course of two weeks addressing concerns regarding Senate Bill 4. The bill would require local law enforcement to work with federal immigration authorities. Since it was introduced, the bill raised concerns about racial profiling. SB4 passed the Texas Legislature in May 2017 but was met with legal challenges. In August 2017, a federal judge in San Antonio blocked the bill on the basis that it “invites arbitrary and discriminatory enforcement against disfavored localities,” he wrote in the ruling. 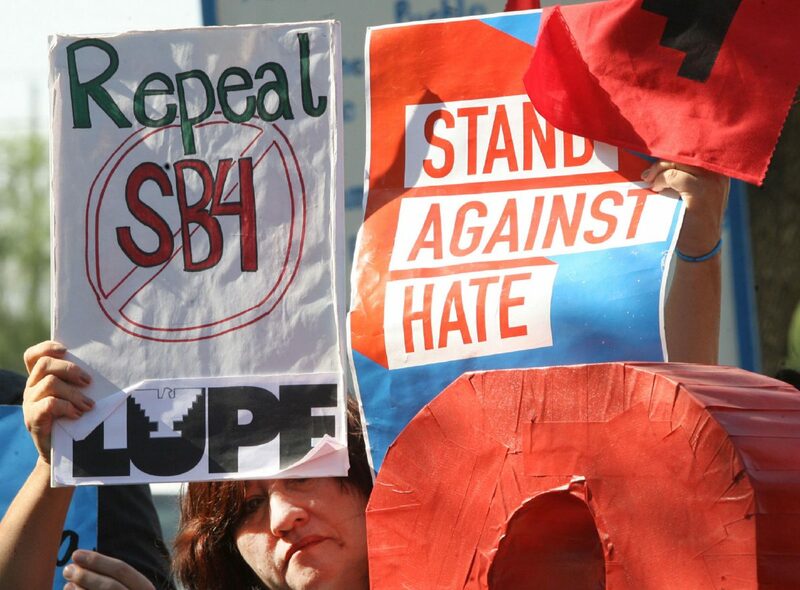 On March 13, a federal court ruled that SB4 may take affect, to the disdain of immigration advocates throughout the state. A clause from the original bill that blocks local officials from “endorsing” policies that limit immigration enforcement was rejected. But concerns about the bill’s constitutionality still remain. The caravan will address SB4, provide “Know Your Rights” and abuse documentation training and provide insight on how immigrants should maneuver the law. They’ll be in McAllen on Friday, April 6 and in San Juan on April 7 for the Marcha de Cesar Chavez. For more information, visit americasvoice.org/press_releases/texas-immigration-advocates-launch-togetherjuntos-caravan/.